YouTube is the world’s second largest search engine and just like a website that gets ranked in Google, your video should also get ranked for all your keywords in YouTube and Google videos. In 2016, more people have been watching videos than reading content and videos became the #1 sales tool. 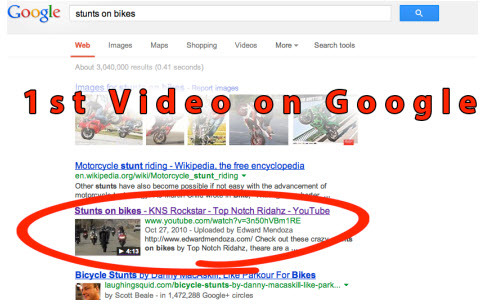 Statistics shows that right after Google, people go to YouTube and search for a video about business or products. YouTube is owned by Google and websites that have a video in YouTube, get more credibility when Google spiders crawl the site which helps with the ranking of your website in Google since Google gives more authority to a website or a web page that has a relevant video. We will optimize your videos, submit them to all the top video channels including YouTube and get it ranked on the first page of YouTube’s and Google videos search result and will bring the traffic from YouTube to your website. 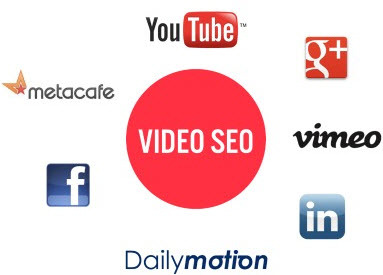 In summary, video SEO can generate traffic through 3 main sources which are YouTube, Google videos including other videos submission platforms and Google’s search result. Do you have a company, doctor’s office, or anywhere that can benefit from more customers? A good way to reach out to people is through a YouTube SEO Los Angeles service. Here you can get more in tune with what to expect and why this is a fantastic idea. SEO is easy to use to get attention on YouTube. The way it works is that you add descriptions, tags, and titles to videos that are likely to show up when someone searches on the site or through Google’s search engine. There are a lot of ways to get people to pay attention to your channel, or to reach out to those that you want to be customers. There are ad programs you can use and there are many professionals you can work with that help you to create content people will click on and enjoy watching. People have fast internet these days so they can watch videos without skipping a beat. YouTube uses state of the art technology so videos with great quality are not going to be that difficult for people to quickly watch. With other sites you may have to wait for videos to buffer, and during that time people may not wait around if they are in a hurry. If you put together a video marketing campaign on this website, you will know that people are going to see what you put out there on a regular basis when clicking around. There are ways to put out ads on the videos of other people that have to do with your niche if you want to save some money. Through Google’s AdSense program, you can pay to have ads appear on top of content that people are watching. Some of them you pay for only if people click on them or there are those that cost you according to how many people just see them. When you get a company’s help to put your text or image ads out there this way, they will be able to come up with something that entices people to click. A campaign has to be put together that reaches out to those that are going to need your product or service. As a car salesman, it would make a lot of sense for you to work with ads that show vehicles in them or that show up on videos about them. The professionals you can sign up to help you with this will be able to either make relevant videos that you can host on your channel that get views or to get your marketing message in front of people in other ways. Anyone that wants to get more customers stands to benefit from a YouTube SEO Los Angeles company. One that stands out as one of the best is Professional Optimizer because they are the leading firm in the area that can make your marketing campaign a reality. Contact them for help right away so you have an edge on your competitors. Please contact us at (866) 311-8812 for your FREE consultation.